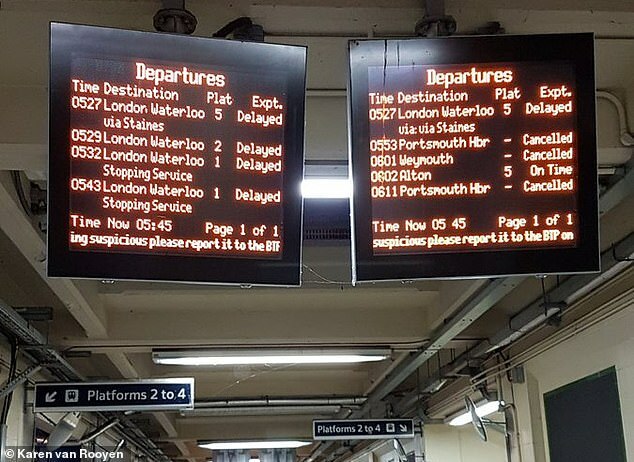 Thousands of commuters endured a disastrous commute to work today after all lines in the London Waterloo area were blocked due to overrunning engineering works. 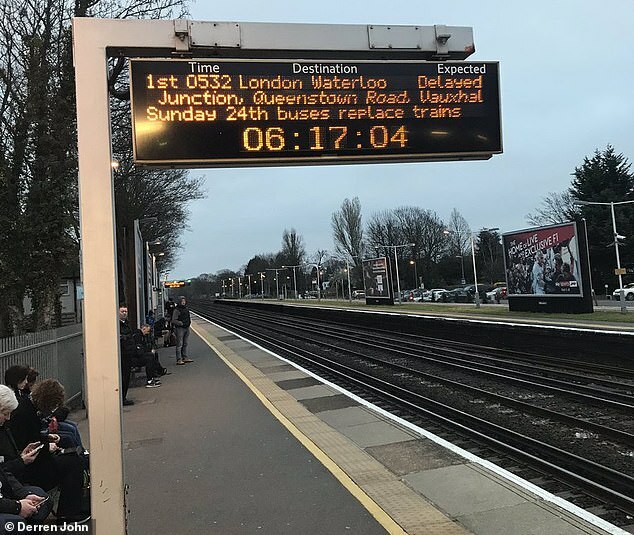 No trains could run to and from Britain’s busiest station during rush hour this morning – with some starting or terminating at Woking, 30 miles away in Surrey. 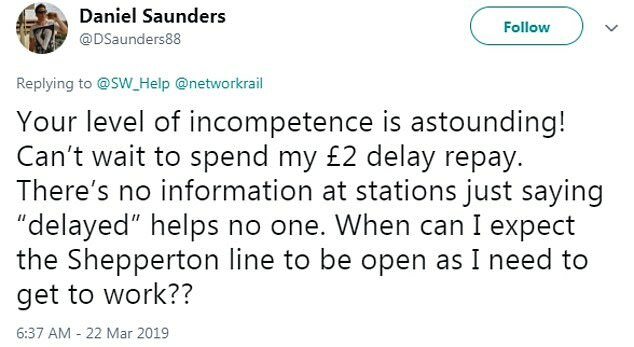 National Rail said services were expected to be disrupted until at least midday, while officials admitted that there was ‘no firm estimate for the line to reopen. Karen van Rooyen said: ‘Get up early to make sure you get the early train and then this happens… Thanks! Just what you need on a Friday morning! 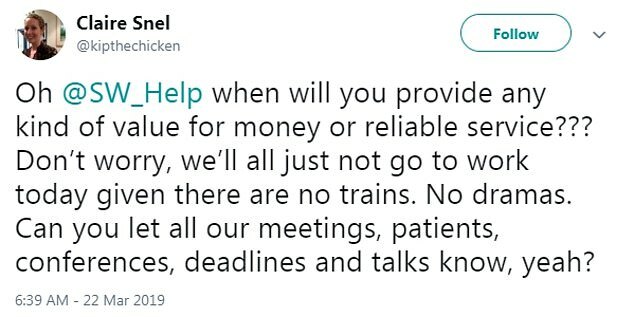 Rail tickets were accepted on Great Western Railway services between Basingstoke, Reading and London Paddington, as well as Southern services via any route. They were also accepted on the London Underground between Paddington and Waterloo, and between Richmond or Wimbledon and Waterloo. 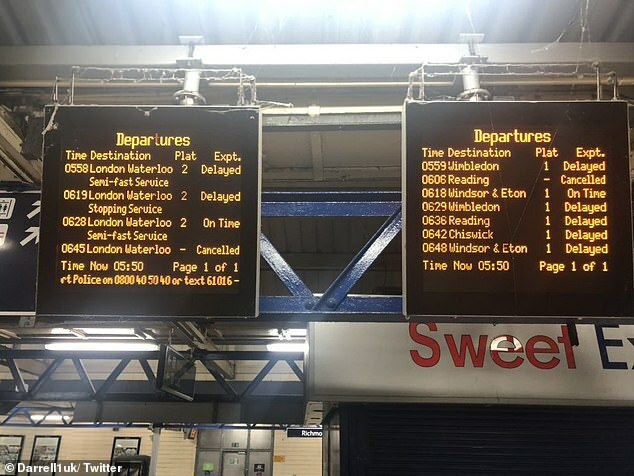 Commuters were also advised that they could use London buses between Wimbledon, Clapham Junction and Waterloo. 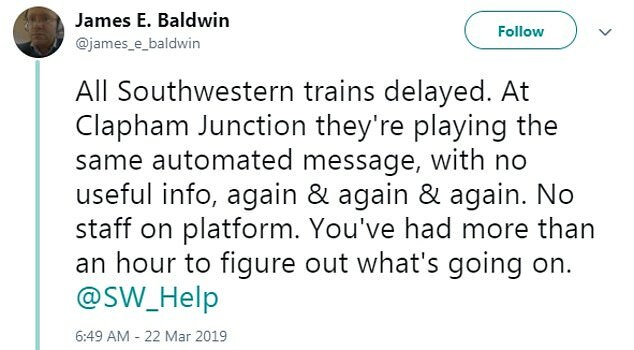 A South Western Railway spokesman tweeted: ‘Due to Network Rail overrunning engineering works at London Waterloo all lines are blocked.